Start earning some cash now as a partner, sign-up today. We provide schools with a real-time online portal that saves time, maximizing profits and reduce paperwork. Our package is an all-in-one school management system that provides a safe and secure platform for admins to enter, store and access school database. View student current and past academic information for general decision making and to spot trend in student overall performance. We have removed the stress in grading students, our grading and promotion module can be fully customized to your satisfaction. Billing and payment are the most import processes in school administration, schoolAdminPlus is design to maximize your profits and ensuring sustainability. With SchoolAdminPlus administrators and teachers can communicate freely and securely with parents using our SMS alert system. Student attendance is very important to parent and guardian, SchoolAdminPlus monitors student attendance throughout the academic year. You can reach all your students, parents and staff with our SMS alert system, you can send meeting reminders, tuition balance, resumption date, emergency circumstances etc. Administrators can manage both their teaching and non-teaching staff through SchoolAdminPlus. You can assign task, project, class etc. and also monitor their progress during the assignment period. SchoolAdminPlus highly encourages parent active participation in their children’s academics; we do so by creating a separate portal for parents to monitor their kids activities. SchoolAdminPlus is a highly secured real time private and dedicated school administrative portal that securely keeps all record of staff and students. Student’s profile,contact addresses, parent e-mail addresses and many other data can be stored and retrieved at a click of a button. SchoolAdminPlus is design to increase the efficiency of both teachers and school administrators by simplifying their work and increase Parents-Teachers and Teachers-Administrators communication with ease. The application is an online version of the SMS (School Management System) where the parent can even check the results of their wards with ease at the comfort of their office or home. Please contact us for a quote if you have more than 1000 students. Act NOW! SchoolAdminPlus partner program is open to everyone, no marketing experience needed and no registration fee to enroll. Partners get rewarded when they get schools onboard and we established a relationship with the prospective client (nursery, primary or secondary schools). Our sales staff perform all demo and training if requested by the school. Want to learn more about our partner program? Here are answers to the questions we hear most commonly from new and prospective partners. What is a partner program? SchoolAdminPlus partner program connect schools and SchoolAdminPlus together for some benefit, when connected schools sign-up for SchoolAdminPlus the partners get paid. To sign up for our program, you must read and agree to our operating agreement and fill out our application form. We will review your application and if accepted, you will receive an email containing the benefit package and you partner identification number. Why should I sign-up for SchoolAdminPlus partner program? If you need some extra cash with less work, SchoolAdminPlus is right for you, all you need to do is to create a connection between SchoolAdminPlus to any school around you and we take it from there. We basically pay for connecting us. What do I get for connecting a school? 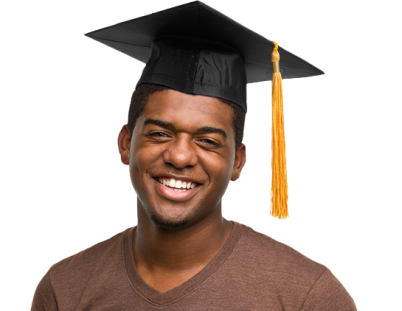 Partners get ₦100/student on every school and 5% extra commission on school with 3000 or more students. Partners get paid as soon as their school sign-up for the service and signed the contract. Is there any cost to become a partner? No. It’s free to join. Where can get more information on the application or the partner program? You can learn more on the application by visiting our website to read more on the application and you can as well visit our office in Lagos or call one of their contact number to speak with one of our representatives. We're here to help, contact us for more information. Please contact by phone or you can fill out the request form, one of our representative will contact you as soon as possible. Get ONE FREE TERM when you sign-up for SchoolAdminPlus before December. © Copyright Segzysoft Technologies Ltd (RC: 1067394) 2011-2019.